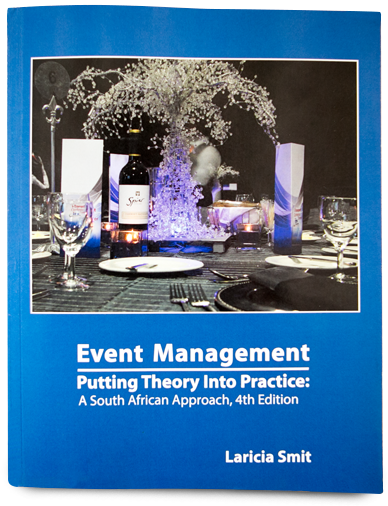 The type of event programme will mainly depend on the overall goals and objectives as expressed in the systematic detailed planning process of event management (discussed in Chapter 2). With the goals and objectives in mind, the type of venue chosen for the event, the possible risks that might occur, and the complete stakeholder analysis in hand, the event manager will have a firm starting point. It will be easier to choose speakers, as the stakeholder analysis will specify what type they should be. It will also be easier to plan activities around the risk analysis and, by taking the type of venue and the services that the venue has to offer into consideration; the event manager will be able to compile a comprehensive programme.